Filmmaking is magic. We are Lynn and Bob Gillen. We love film. We love storytelling. 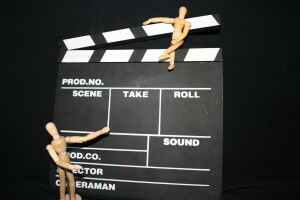 We are committed to helping you make your own movies. Develop the stories you’re passionate about. We’ll offer you tips and ideas on finding and writing your story, producing it, sharing it with others. We’ve talked to many filmmaking professionals. Their interviews are featured here. There’s so much to learn from the pros. We hope they inspire and educate you in your own filmmaking careers. 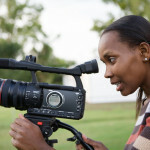 The digital filmmaker’s lifestyle focuses on awareness. The stories run through your head constantly. Locations and camera inspirations jump out at you wherever you go. Our motto – imagination and tenacity. Find and nourish your idea, then work without stopping until your story screens. Our own story includes producing a children’s how-to dance video, working in video production, writing treatments and screenplays, and writing articles on music production and performance. We spent many hours on the set of the TV drama Dr. Quinn, Medicine Woman, for which we wrote history resource guides. We also wrote 60 online teacher resource guides for articles appearing in a national print magazine. Come back often to check out new ideas and interviews with guest filmmakers and artists. And share the site with your friends.